Another goal from Twarynski gave the Rockets a 3-0 lead through 20 minutes and they built on that even further in the middle frame. After Josh Curtis scored his own shorthanded marker to pull the Cougars within two, Twarynski completed the hat trick with his 18th goal of the year on the powerplay. Captain Cal Foote would add another before the period was through and the Rockets would skate into the third with a 5-1 lead. Prince George would add a pair of late goals courtesy of Jared Bethune and Dennis Cholowski, but that’s as close as they’d come. James Porter made 26 saves in the win, his 11th of the season, while DiLaura turned aside 24 of 29 shots in the loss. 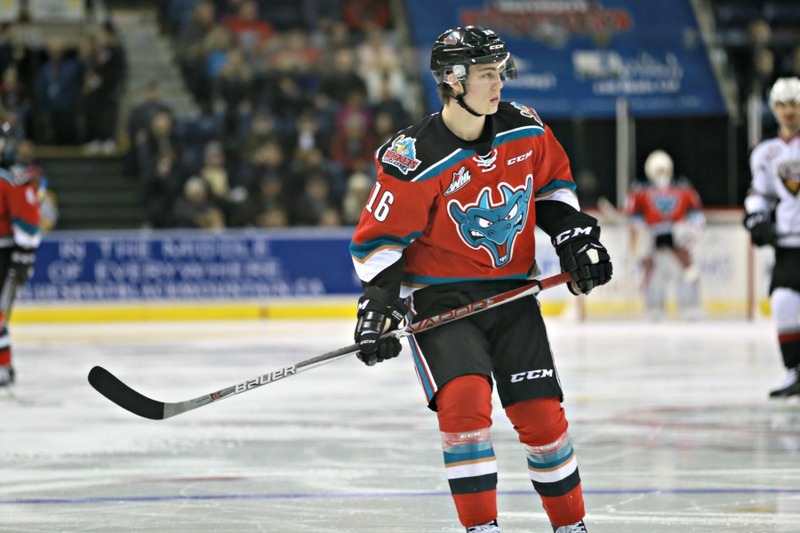 The Rockets now hit the road for a Friday night game in Spokane before returning home to host the Kootenay Ice for Teddy Bear Toss night on Saturday. There’s a chance that Kole Lind will make his return on Saturday as well following a battle with mono. Tickets for Saturday are available through Select Your Tickets, at the Prospera Place box office or by phone at 250-762-5050. For more information on Teddy Bear Toss night, click this link.